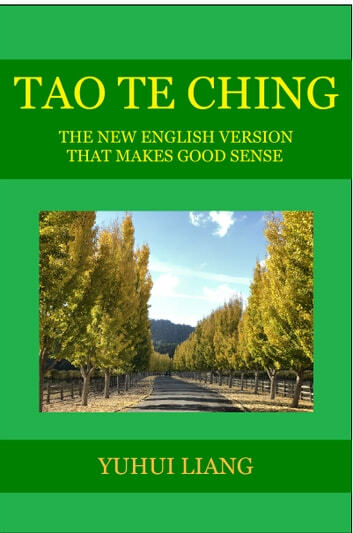 This is not just another English version of the Tao Te Ching, this is the new English version that makes good sense to readers for the very first time in the history. While the Tao Te Ching is a famous ancient Chinese classic and has substantially influenced the lives of so many people over the centuries, it is also one of the most profound and misinterpreted spiritual and philosophical text. Some of its chapters may appear confusing and difficult to understand. What can you do when you just can not make sense of them? (1)Having successfully revealed the relationship between Non-Being and Being, as well as their dynamic structures. (2)Having reexamined the most important words (Tao,Te,Ming, etc.) used in Lao Tzu's book by analyzing their oldest written forms and figured out their true meanings in the context of the TaoTe Ching. (3)Having discovered that Lao Tzu had used an ancient nine-type system (the ancient Chinese version of Enneagram) to form a system of eighty one pairs of symbols and drawn creative inspiration for the Tao Te Ching from them. And based on these research breakthroughs, he has successfully corrected all the centuries-old misinterpretations of Lao Tzu's book and translated the Tao Te Ching into English by himself. Thus he has a pretty reliable way to be true to Lao Tzu's original intent and is able to introduce Lao Tzu's teaching in form of a system of philosophy. His work takes the translation of the Tao Te Ching to the next level of better accuracy, coherence and contextualization, while keeping the sentences reasonably concise. You can benefit from this book whether you are a first time reader or a long time fan. It will help you read Lao Tzu's book with greater understanding, reexamine its original meaning, and find out what it means to you today. The content of this book: Introduction, Translation, Pinyin version, Annotation, Notes, and a Brief Analysis of the Symbol Pair for each of eighty one chapters.